Do you own a restaurant? Are you a plumber? A doctor? As a local business you need local marketing. Your customer or patient-base are not in another state or country, they are right in your zip code. That means you need to target your marketing efforts towards customers in your area. Your website need a facelift to be more locally focused? 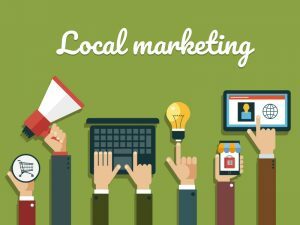 The local marketing section of any site is supposed to be about helping customers reach their target audience in their area: from email campaigns to SEO and PPC. You therefore need a local advertising strategy to drive those customers to your site. Postcards, coupons, social media and more should all be in your toolbox. Our local team can provide all of your materials, training and tools turn-key and at the lowest possible cost to meet your budgeting goals. Our objective is to grow with you. Up your game. Grow your business. Contact us today.